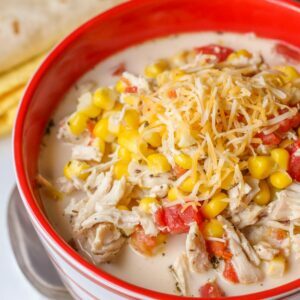 Delicious Mexican Chicken and Corn Soup filled with chicken, corn, tomatoes, cheese, & lots of seasonings! 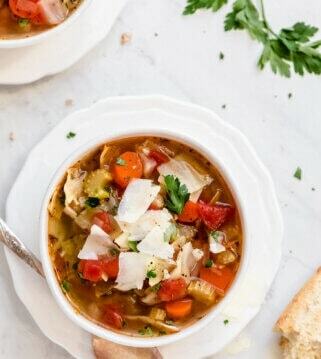 This Chicken Corn Soup recipe is so simple and can be made in 20 minutes! 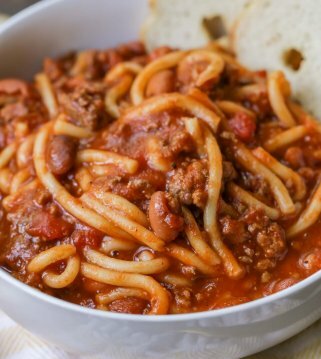 It’s a great recipe to have on hand for nights when you need to throw together a quick dinner! I’m not happy my friends… it’s hot again here in Houston, and that’s just not allowed during “Soup Season.” It’s actually been raining ALLLLL day long, and you’d think with rain, it would at least cool down a bit. Unfortunately, that’s not the case. Instead, we just have warm, muggy, humid rainy days and it’s just not cool in my books. It’s not going to keep me from making soups though. While we wait for the cooler weather here in Texas, I thought I’d share one last soup for you this week. It’s called Mexican Chicken and Corn Soup. You wouldn’t think that ingredients as simple as chicken and corn could produce such a delicious final product, but let me tell you, this Chicken Corn Soup is for sure a keeper. With chicken, corn, tomatoes, and heavy cream, it’s just creamy and filling enough without being overwhelming. Plus it’s PACKED with seasonings that give it the most amazing flavor. It tastes like a Mexican casserole of sorts, especially when you top it with shredded cheese. Bottom line: it’s delicious and I don’t think you’ll be disappointed. As if this recipe couldn’t get any better… It does! Here’s why: it only takes like 25 MINUTES to make! Maybe even less. Seriously! 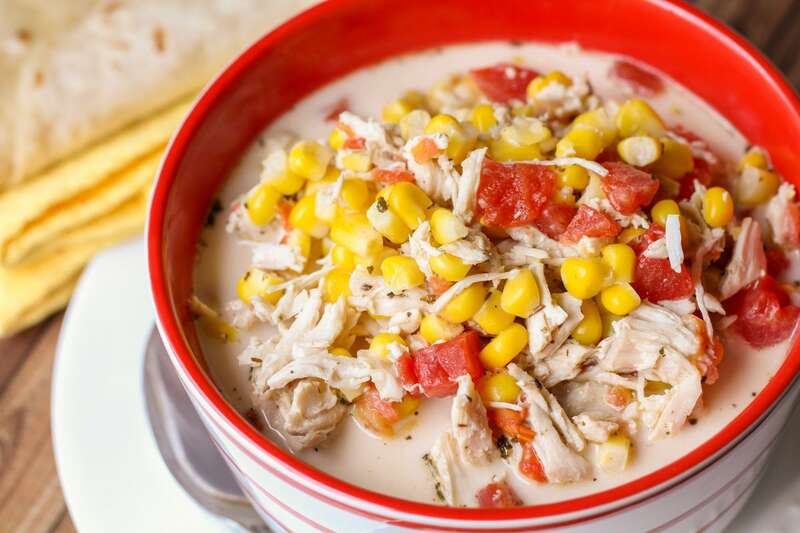 See for yourself how easy it is to make Mexican Chicken and Corn Soup. Add butter and garlic to a large pot. Simmer for a few minutes, then add chicken stock, tomatoes, corn and all the spices. Bring to a boil. Reduce to a low simmer. Add your cooked and cubed chicken, and let it warm up for a few minutes. Stir in your heavy cream until all mixed. Cook for 5 more minutes. Serve into bowls and sprinkle cheese on top. ENJOY! 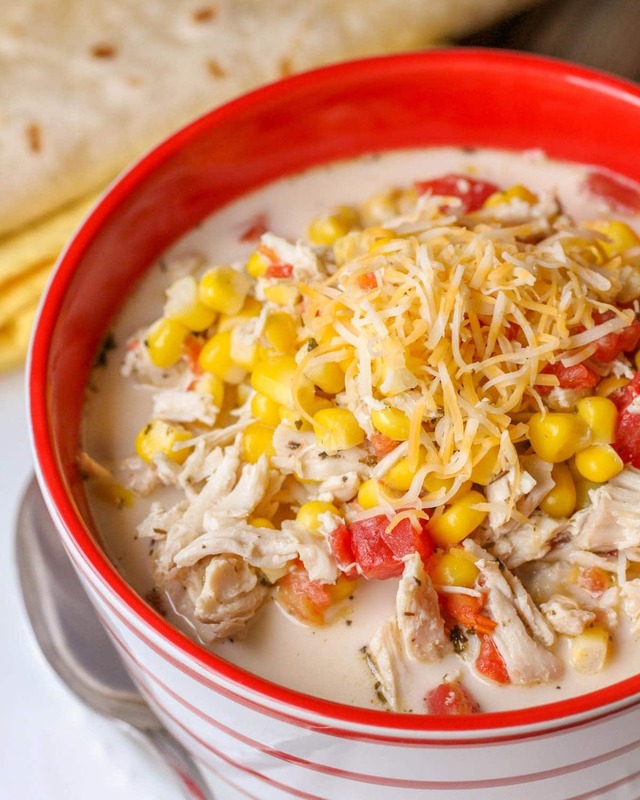 Delicious Mexican Chicken and Corn Soup filled with chicken, corn, tomatoes, cheese, & lots of seasonings! 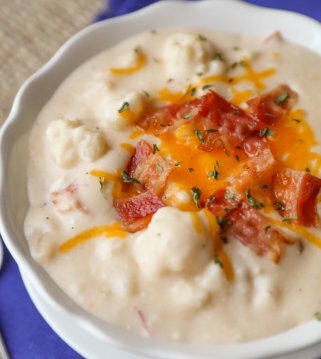 This Chicken Corn Soup recipe is so simple and can be made in 20 minutes! Add butter and garlic to a large pot. Simmer for a few minutes. Add stock, tomatoes, corn and all spices. Bring to a boil. Reduce to a low simmer. Add your chicken and let it warm up for a few minutes. Stir in your heavy cream until all mixed. Cook for 5 more minutes. We love soup too! 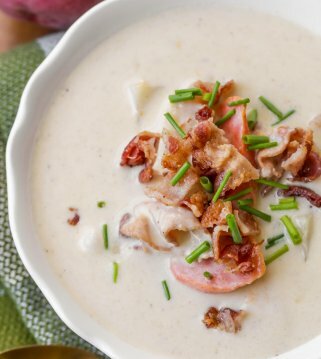 These look delicious and I can’t wait to add these to our soup repertoire. Looks delicious! We just moved here to Houston. I am wondering the same thing! Thankfully the past couple of days have been cooler & I cannot express how wonderful it is. Enjoy the cooler weather. I’m curious how many servings? And if this makes quite a bit have you ever frozen half for another meal? I really want to make this but with a family of 3 and a half I don’t want to eat leftovers for a week LOL, and I really don’t want to cut recipe in half if I can freeze it, because for my no cook Tuesday’s this would be perfect to pull out and thaw and re-heat during the winter. Looks amazing! I think I could eat soup every single day. Pinned! 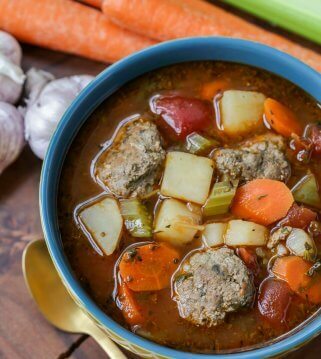 Love a good soup recipe! Making this! Pinned! I don’t often enough comment on recipes I find online, but I had to thank you for this recipe and say how much my family enjoyed it! I did use half the salt and half the cayenne which made it just the perfect amount of heat for us. I also added a few shakes of dried cilantro. Otherwise I followed the recipe as is. Even my 6 year old drank the leftover broth from his bowl and expressed how much he loved the soup! I will definitely be keeping this recipe and making it often! Thank you! 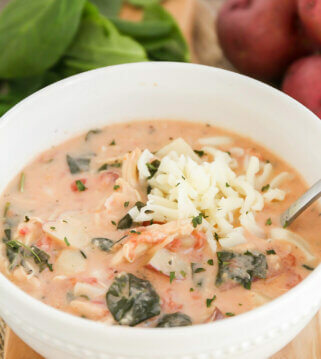 Have made this soup a lot…absolutely delicious! I don’t often have cooked chook in my fridge, so I coat 2 free range chicken breasts in salt and pepper then shallow fry them in olive oil. There’s my healthy chicken and I use fresh organic corn. Don’t want that GMO rubbish! I’m going to try slow cooking it this time round, and it’s winter way way down south, so I think it will hit the spot for dinner tonight. Thanks for your great recipe ???? Sounds perfect!! I hope you like it, as much as we do!! Thank you so much for stopping by! !